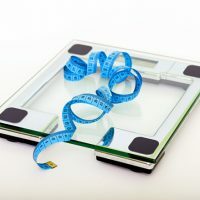 If you want to lose some weight, reducing your carb intake and increasing the amount of protein you eat is one of the proven tactics to help you achieve your weight loss goal quicker. There’s been numerous studies on low-carb diets and comparing to a low-fat diet, a low-carb diet is much more effective and gives you quicker results. So why am I talking about losing weight? Well, I have a confession to make. Recently I gained some weight, it just happened and probably I wasn’t active enough for the amount of food I was eating. 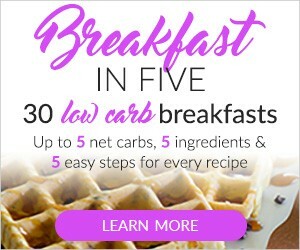 Also, maybe being in my 30s has something to do with it… (scroll down to see the recipe for the low carb breakfast pictured above). My diet is generally really healthy but at the weekend I have a treat or two. It doesn’t help to have a partner who likes to have naughty foods all the time! Well, I guess there were too many weekends when I had too much calorie dense food so I gained weight.. Just a few pounds or maybe more. But now I have to take action and one of the things I started doing is reducing the amount of carbs I eat, especially for breakfast. I really don’t like eating anything savoury for breakfast (eggs, for example!) 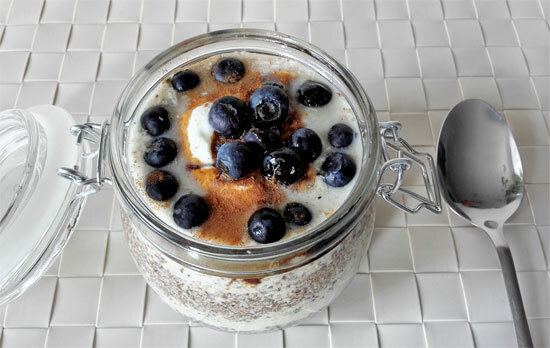 so I came up with this high-protein, low-carb breakfast in a jar which is naturally sweetened with some blueberries and yacon syrup (and contains no eggs). Yacon syrup is a natural sweetener which contains sugar but humans cannot digest it so having it as part of a low-carb diet is not that bad. However, I believe it’s still better to use stevia sweetener, such as Natvia, if you want to do the low-carb diet properly. This breakfast is amazing as it’s mostly protein and fats with very little carbs. It’s vegetarian but you can easily make it vegan by skipping yoghurt. Maybe it cannot compare to your usual cereals when it comes to taste but well, it’s low-carb and low in sugar so it’s much better for you. 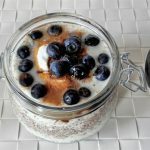 In the evening, I put all the ingredients in a jar for soaking overnight and in the morning I just add a spoon of greek yoghurt, blueberries and cinnamon and the breakfast is ready! Putting it in a jar is convenient as you can just take it to work and eat it at your desk (if you want). This is great for people who are busy and constantly on the go. 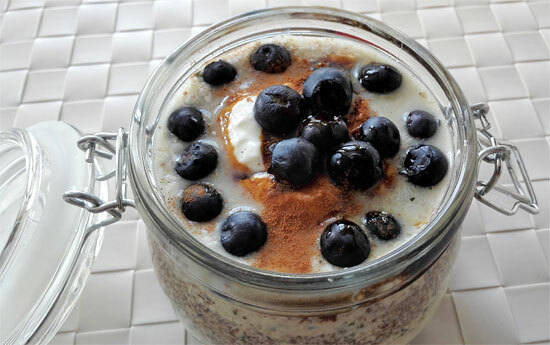 This low-carb breakfast is made with chia seeds and flaxseeds which both contain around 22% protein with flaxseeds containing more fat. 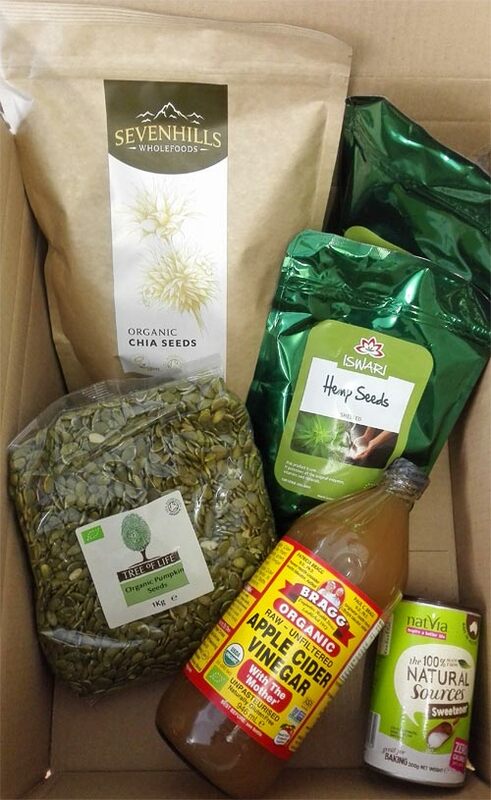 Raw shelled hemp seeds are added for more protein – they contain 30% protein and 50% fat. I also add desiccated coconut which is really high in fat (62%) but also contains some protein (6.6%). After having this breakfast I feel about 80% full and I don’t get hungry until after more than 4 hours. Amazing! Eating porridge or muesli doesn’t keep me full for that long. I don’t use any protein powders in this breakfast but if you like you could – you could skip desiccated coconut, for example, and add a spoon of protein powder. I recommend going for non-dairy, vegan protein powder as I believe it’s healthier (if you order vegan protein powder from this site you also get a free pouch of protein powder of your choice – offer redeemable at the checkout when you add at least £10 worth of products to the basket, you need to use my referral code PK1211929 for that). Place all the ingredients apart from blueberries, yoghurt and cinnamon in a jar and add enough plant-based milk to cover it all. I must admit I haven't measured how much milk I use but it's probably around 200ml if not more. Just before eating it, add some blueberries on top with a spoon of Greek yoghurt. Sprinkle some cinnamon on top. If needed add some more milk. You don't need a protein powder for this low carb smoothie but if you have it you can use it. I sometimes use vegan protein powder blend from The Protein Works. 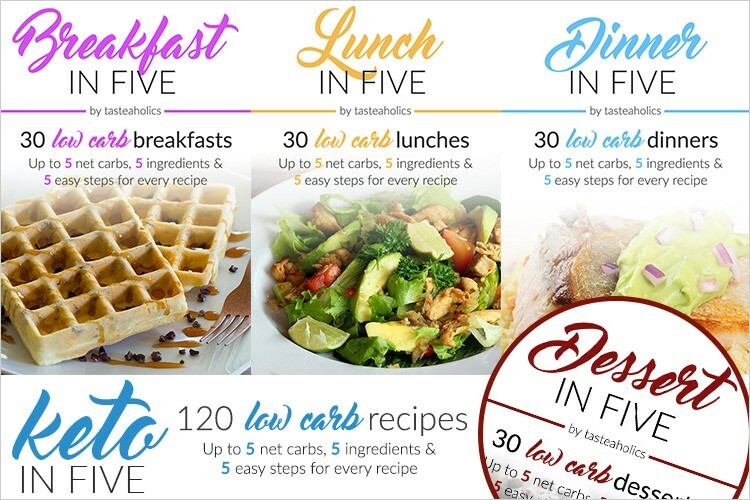 If you are looking for more meal ideas for your high-protein low-carb diet check out this recipe bundle containing 120 simple and easy low-carb recipes for breakfast, lunch and dinner. And if you like adding protein powders to your meals for that extra protein boost, check out The Protein Works – you can get 25% off your first order, just use the code FIRST25. Try to check this page as well, to get a great deal. Maybe you could replace nuts with sunflower or pumpkin seeds, if you are not allergic to those? I’m brazilian and I didn’ know about the possibilities with these nuts, I’m so excited to try these recipes . Looks delicious, thank You! I am glad you like it, enjoy! 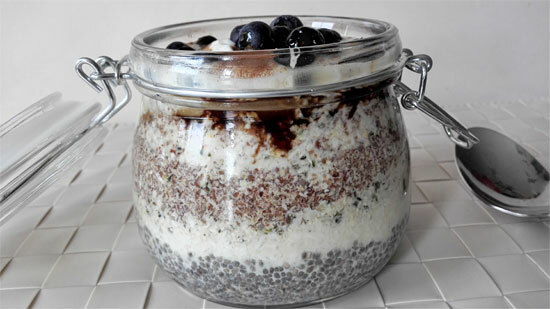 How many calories and carbs in this chia breakfast? I am not sure how many carbs and calories, it’s a low-carb breakfast since most of the ingredients are high in fat and protein and low in carbs. 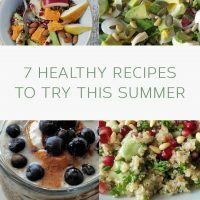 hey Petra, thanks for sharing healthy recipes just loved this one. This looks like a great low-carb breakfast for on the go! I could mix up the night before and quickly ready to get out the door the next morning. I’ll have to give it a try!